Trevor -- When did you become interested in comics and what was the first comic book you read? Michael Marts -- I became interested in comics pretty early on…maybe age six or so. 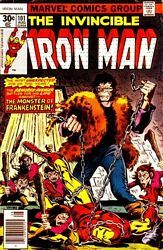 I know my first two comics were issues of IRON MAN (#101—Frankenstein and the Dreadknight!) 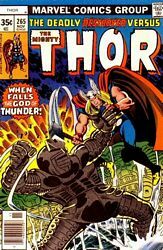 and THOR (an early Walt Simonson issue before his big run…maybe #259 or #260…it had the Destroyer in it). But my comic reading was sporadic for a while...until I turned ten and met the X-Men for the first time. Trevor -- What comic titles became your favorite? Michael Marts -- Not surprisingly, UNCANNY X-MEN was always my favorite comic. G.I.JOE, ALPHA FLIGHT and THOR were great reads back then. Anything that Chris Claremont, John Byrne or Walt Simonson did. They were my heroes. I was also a big fan of IRON MAN, THE DEFENDERS and THE NEW MUTANTS. Trevor -- When was the moment that you knew you were destined to work in the Comic Book field? Michael Marts -- That’s hard to pinpoint…during college I started submitting stories to Marvel, trying to break in as a writer, doing the submissions-to-the-submissions-editor thing, and Lo and Behold--I actually received feedback from REAL PEOPLE! Not that the feedback was extensive in any way, but in my mind this solidified the idea that people besides Stan Lee and Chris Claremont could actually WORK at Marvel and make a living. Not long after, I entered into their college internship program, and I’ve been here (in one form or another) ever since. Trevor -- Tell us about your time at Acclaim and what did you learn from the experience? Michael Marts -- Acclaim was a great learning experience. By the time I left there, it was really just me and one other guy in charge of an entire comics universe, so it was a great way to spread my wings and experiment creatively. Trevor -- What was your position when you came back to Marvel? Michael Marts -- When I came back to Marvel after being away for three years, I returned as an editor, primarily working on the second-tier or satellite X-books (Gambit, Bishop, Deadpool, etc.). Trevor -- What's the difference between an editor and a senior editor? Michael Marts -- Senior editors are older. ;-) It’s funny, when I first came to Marvel I was the young guy—just turned 21. Now I’m considered one of the “old timers”. Very strange. Trevor -- What is the work you're the most proud of? Michael Marts -- Currently I’d have to say ASTONISHING X-MEN, before that probably ORIGIN. 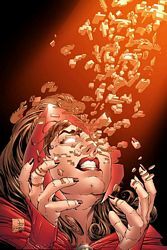 Trevor -- Since this is the start of our Mondays With Marts, tease us a little about the House of M, which will be next weeks topic. 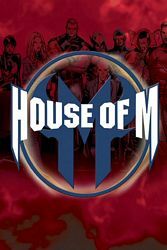 Michael Marts -- Not to sound cliché, but House of M will FOREVER alter the state of the X-Universe. Consider yourselves warned.